It's been a stressful day, so I decided to sit in the dark and lose myself in some high alcohol dark beers. This beer pours black, blacker then Port Huron's black river at midnight on a starless night. Has a big tan head that stubbornly stays the entire time you are drinking. The aroma is of dark coffee and chocolate with a little spicy and dank hops. Big dark bitter chocolate and coffee malt taste right up front. This beer is pretty intensly roasted, but it doesn't seem out of balance. The surprising part of this beer is the hops. 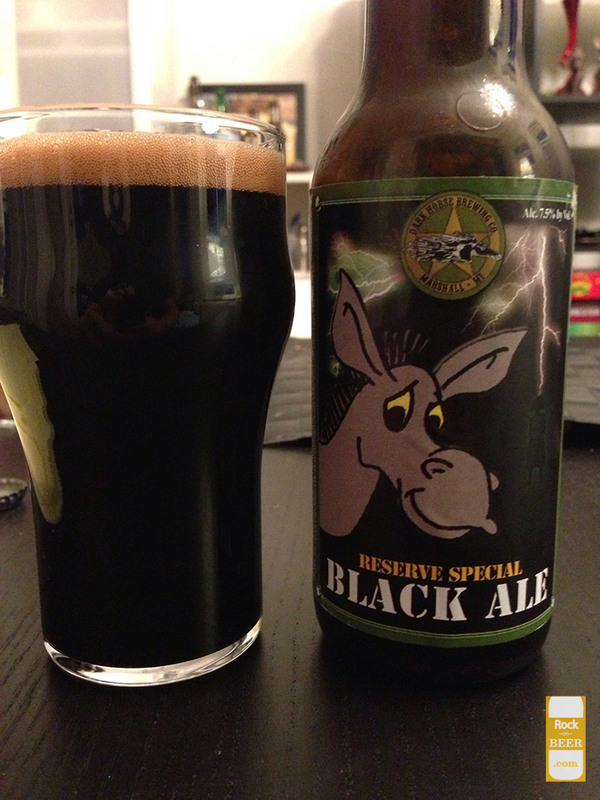 This is a very bitter hoppy beer, for being so dark. Not quite a black IPA, but still notiveable hop prescense. Bitter and earthy they really compliment the roasted malts well. Like a very bitter cup of coffee. Good bit of carbonation and a dry but full mouthfeel. Really great beer on a night like this.